“We are extremely proud to be a partners with these fishermen, scientists and managers who are taking this proactive lead in real-time fisheries reporting”, explained Michael Kelly, Vice President of CLS America. “Our latest product, THORIUM, allows fishermen and scientists alike to collect and utilize ocean data in entirely new ways”. THORIUM is a satellite data communications tool that tracks fishing fleets, and provides a fast, reliable, and cost-effective satellite link for vessels to send real-time catch reports and vessel information, get weather reports, send and receive email and a number of other features. THORIUM uses Iridium’s Short Burst Data (SBD) technology, an innovative technology that is much less expensive than conventional satellite communications tools. Kelly continues, “SBD technology gives fishermen a new tool to manage their business, to improve safety at sea, and to stay connected to home, the office and fishing markets no matter where in the world they are”. CLS America is a global leader in oceanic data collection. THORIUM provides fishermen with easy electronic forms on a wireless tablet connected to Iridium’s global satellite constellation. 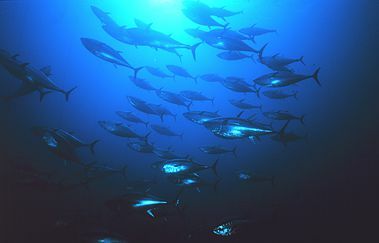 The longline fleet will now report real-time electronic fishing and catch data to NOAA’s National Marine Fisheries Service, via satellite, giving managers and fisheries scientists vastly improved information to manage valuable Pacific fish species. THORIUM’s secure online viewers allow managers, fishing companies, and captain’s to view fishing and catch data along with critical oceanic data like sea-surface temperature, ocean productivity, and current data. This gives fishermen the most comprehensive view ever of huge ocean areas, and gives them new tools for fisheries forecasting. or contact Michael Kelly at CLS America, (301) 925-4411. 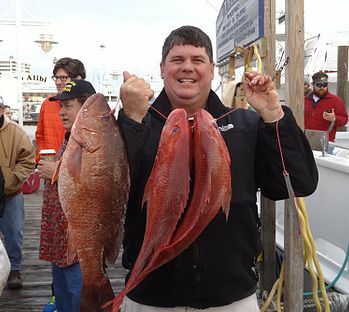 After three years of countless meetings and endless paperwork, it was a red letter New Year’s Day in Destin as 127 red snapper were brought to the docks. A total of 17 vessels are participating in the first year of the Gulf of Mexico Headboat Collaborative Pilot program, which allows specified boats to land red snapper and gag grouper. These vessels are located in Texas, Alabama, and Florida. 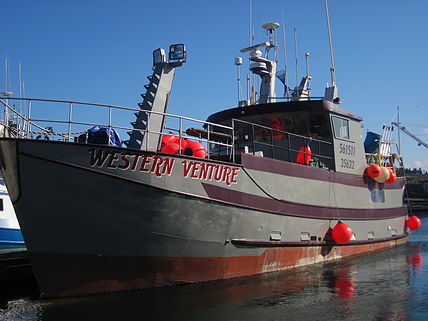 When the quick thinking captain of the F/V Western Venture noticed a fire on board on the morning of October 20, 2013, he sent a message through his THORIUM VMS unit notifying the ship’s owners that there was a problem on board. Later when the ship’s EPIRB was activated, the vessel owner was able to confidently verify to authorities that there was indeed an emergency and that the crew needed assistance. All crew on board endured eight hours in a liferaft prior to being safely transferred to another vessel at-sea. 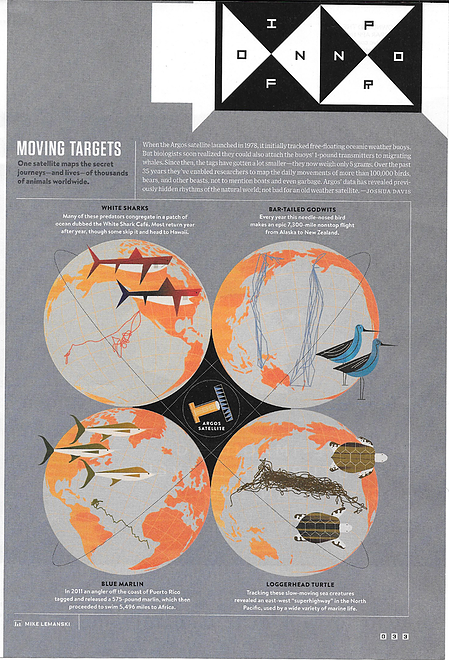 CLS America’s ARGOS system provides the connection for scientists around the world, allowing them to use satellite technology to learn more about our oceans and the animals that live there. THORIUM Mobile VMS marks an important debut at the International Workboat Show in New Orleans in October 2013. Workboat has become the industry standard expo for trade in the tug and barge, oil and gas, and service vessel markets. This makes Workboat the place to be for new products like THORIUM. CLS America, the global leader in satellite data communication was acknowledged for its most-loved ARGOS satellite feature in Wired Magazine in the September 2013 issue. CLS America has led the operational data service for ARGOS for almost 30 years, and the system continues to provide the most reliable and trusted service for ocean scientists worldwide. 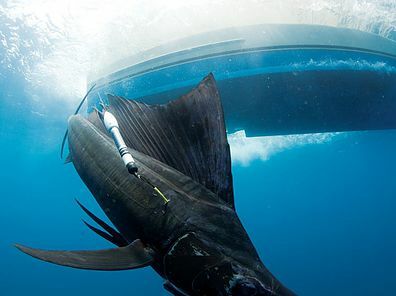 Casa Veija Lodge and researchers from the University of Miami have been using THORIUM as the centerpiece of a long-term study on sportfishing in Central America. When added to our longterm work as the ARGOS satellite tag service provider, CLS America shows its dedication to Billfishing, and to the long-term viability of sportfish. Read more in Marlin Magazine. CLS America Launches Thorium for U.S. Fisheries. NOAA’s National Marine Fisheries Service has announced the Vessel Monitoring System (VMS) type-approval of the new CLS America VMS unit, Thorium. Thorium has been NOAA type-approved for U.S. federal fisheries as well as for vessel management in the Northwestern Hawaiian Islands National Marine Monument. CLS America has over 30 years experience in integrated ocean observation platforms. CLS provides vessel management in over 60 countries and currently monitors over 5,000 vessels worldwide.The Thorium VMS unit replaces the ARGOS MAR-GE, one of the earliest VMS units used in U.S. fisheries. Using Iridium, the largest private satellite network in the world, Thorium provides true global location and communications services. CLS America is a proud partner of U.S. fishermen and Fisheries Managers working to ensure the long-term sustainable use of U.S. ocean resources.The Thorium VMS system is now available at U.S. marine electronics dealers. To learn more about Thorium, please contact Michael Kelly at mkelly@clsamerica.com or by phone at (301) 925-4411. CLS America’s THORIUM VMS product has been certified for use in all Canadian commercial fisheries by Canada’s Department of Fisheries and Oceans (DFO). DFO monitors fishing activities as outlined in a number of Canadian fishing regulations. CLS America is pleased to be a partner with DFO toward the sustainable use of its marine resources.